From today's conversation! Trying out Google+ Hangouts On Air. We played a little game on my LUCIMA Facebook Fashion Photography Workshop page yesterday. The game goes like this: The following set of images come from 2 films and 1 digital source. Which is which? Could you tell what films I used? Under full disclosure, I actually don't know the answer to the question. I have to reference my Lightroom catalog to tell you the answer. But therein lies the rub. Does it matter? Conversations with LUCIMA - Gear and Stylistic Change from Charles LUCIMA on Vimeo. 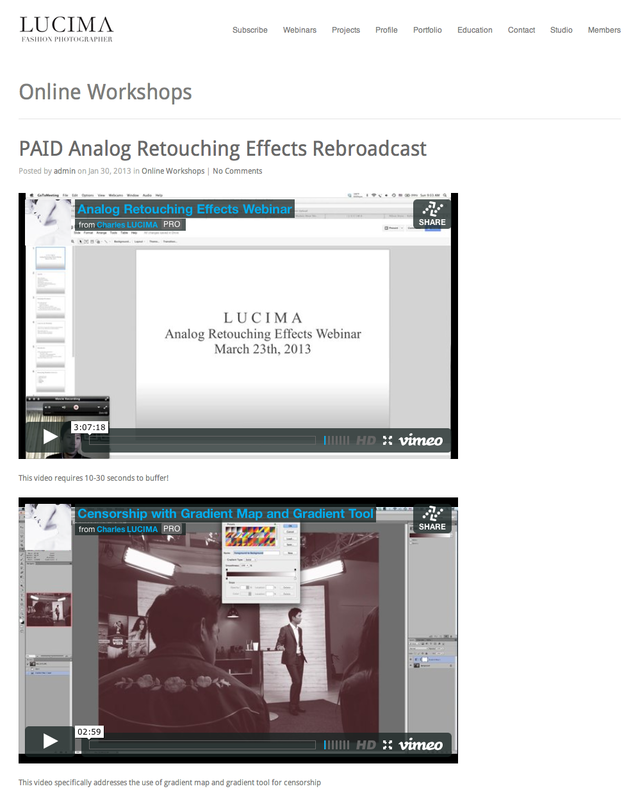 I uploaded an addendum video for all those that purchased the Analog Retouching Effects Webinar Rebroadcast. Basically a short step-by-step video covering the light-leaks I employ in some of my images. Enjoy!